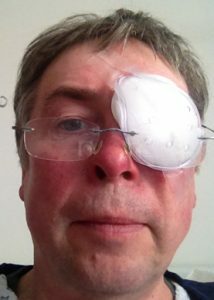 Earlier this week, as I shook the hand of the eye surgeon, Mr Simon Horgan, after having the second of two cataracts removed, I said, “No more eyes to do then”. As soon as I said this, I realised that we all possess a Third Eye, also known as the pineal gland, or master gland. What’s more, it is easy to harbour or develop a cloudiness of vision in our Third Eye too. It’s also easy to remove it and to do this without any surgery. 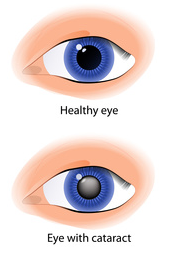 Cataracts in our ‘optical’ eyes are caused by a degeneration in the clarity of the lens. The primary cause of clouding of the lens is thought to be exposure over time to ultraviolet light, but it’s also thought that it can be brought on by smoking and diabetes. By the age of 80, around 40% of Americans have lens replacements. In the developing world, where treatment is not readily available, it is one of the leading causes of blindness. So how do you know if your Third Eye is not ‘seeing’ well? Firstly, recognising the role and existence of the third eye as a location for super-sensory awareness. 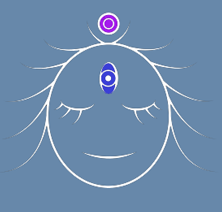 Secondly, moving your consciousness to the third eye by spending a few minutes each day in meditation. Thirdly, working on and in what you are passionate about under your own steam, or ideally with others. I am fortunate to live in a part of the world where I can get access to top class medical care. As a result, just a few months after diagnosis, I have clarity of vision back again. I could then see clearly that I have a beautiful mechanism available whereby someone who can afford it gains clarity of vision for their Third Eye and, as a result, someone who can’t afford it gets their eyesight fixed. So in the second half of 2016, I started donating £40 from every sale of my Heart-full Living course to The IMPACT Foundation. This way someone who can afford it improves their Third Eyesight and someone else got their sight back. Since meeting up with the people that run the charity, I realised they do much more than fix eyes. They assist with education and with many other medical interventions. So going forward, I am dropping the single donation idea related to sales of my Heart-full Living course. From any sale of three of my self-study courses*, 20% of the gross amount will be donated AND all courses are available at variable price points to suit what people can afford.